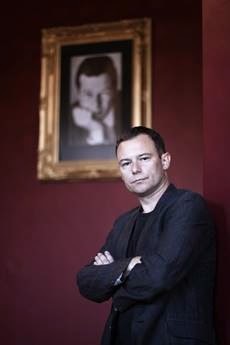 TV and stage actor Andrew Lancel, who is set to play Brian Epstein in Epstein: The Man Who Made the Beatles, in London’s West End this summer, has been confirmed as one of the celebrity names who will unveil a commemorative Heritage Foundation Blue Plaque at the London offices of Epstein’s company NEMS on Sunday 29 June. Andrew Lancel (Coronation Street and The Bill) says he is honoured to be asked to be a part of the special unveiling ceremony which will take place at Sutherland House, adjacent to the London Palladium, where NEMS occupied offices in the building from the height of Beatlemania in 1964 until shortly after Brian’s tragic death in 1967. The plaque for the former Beatles manager comes in a year which would have seen him celebrate his 80th birthday and was posthumously inducted into the Rock & Roll Hall of fame following a campaign from fans. David Stark, SongLink International (sponsors of the plaque) and on behalf of The Heritage Foundation said "The Heritage Foundation is delighted that our former Vice President Andrew Lancel is able to join us on an historic day commemorating Brian Epstein's massive contribution to the global music industry and popular culture during his tragically short life. It's totally appropriate that Andrew helps us pull the cord on the day, and we all wish him well with his upcoming stage role as Epstein." It also coincides with the opening of a new play - Epstein: The Man Who Made The Beatles, at London’s Leicester Square Theatre from 30 July - 6 September 2014, written by Andrew Sherlock and directed by Jen Heyes. The play is a fascinating window into the much speculated private world of the music entrepreneur whose stellar career as Beatles Manager made him a household name yet who’s controversial personal life remained very much in the closet. Brian died of an accidental overdose at the age of 32. The event is expected to be attended by many of his contemporaries, friends, family members and others associated with the man who took The Beatles, Cilla Black, Gerry & The Pacemakers and Billy J. Kramer to worldwide stardom. Following the plaque unveiling there will be a celebratory luncheon at the Regents Park Marriott Hotel from 1.00pm, which will include speeches and tributes from colleagues and friends, as well as live entertainment. Brian’s work and legacy is still very much alive today nearly 50 years after his untimely death and this plaque marks the contribution of a true icon of 1960’s popular culture – a man who shaped music and style across the world.